The System One Contractor Rig® and Utility Trak®, attach to the top surface of the Utility body using concealed bolts and also serves as a structural anchor rail for tie downs. This utility body ladder rack is packed with all the same features as our Contractor's Rig® and has an impressive 1,250 lb. load capacity. Rack dimensions vary based on truck body size and style. The System One Contractor Rig® and Utility Trak®, attach to the top surface of the Utility body using concealed bolts and also serves as a structural anchor rail for tie downs. This utility body ladder rack is packed with all the same features as our Contractor's Rig® and has an impressive 1,250 lb. load capacity. 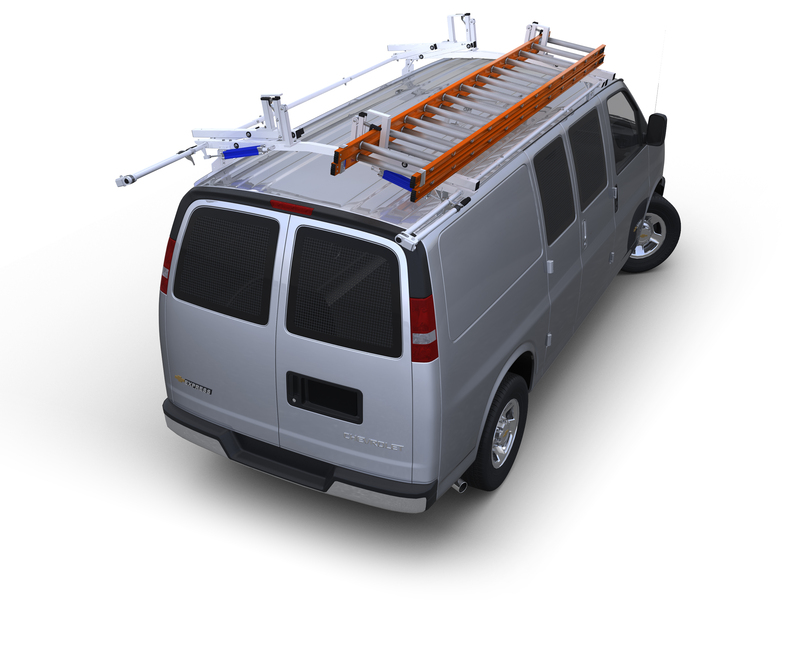 Utility body ladder rack dimensions vary based on truck body size and style. Please select body length, 8' or 9', standard or extended cab, and the height differential based on the dimension between the top of the truck body and top of the truck cab. Please call with any questions.